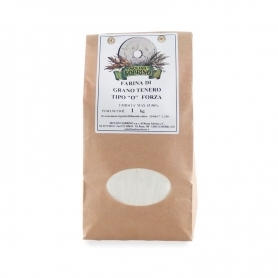 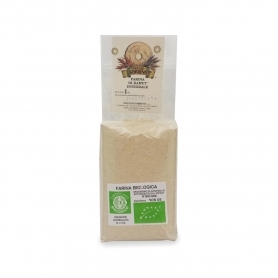 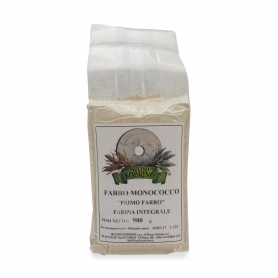 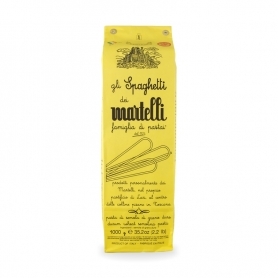 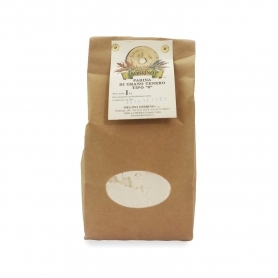 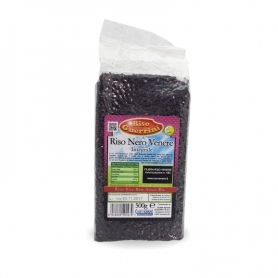 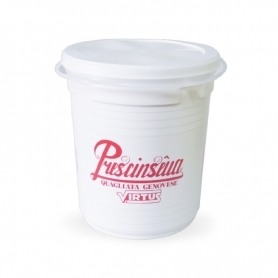 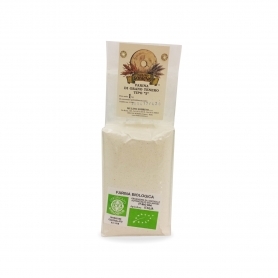 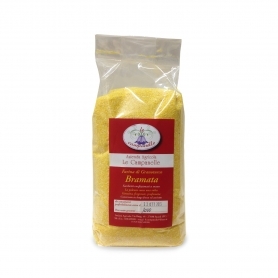 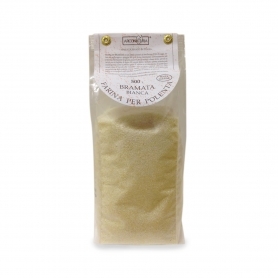 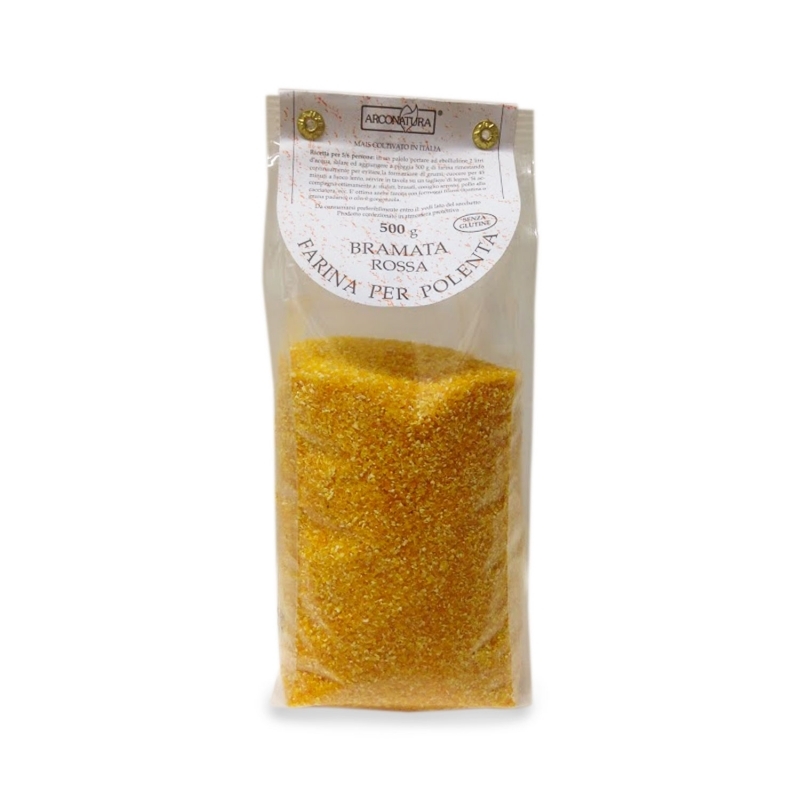 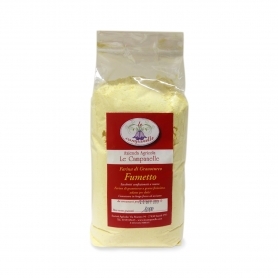 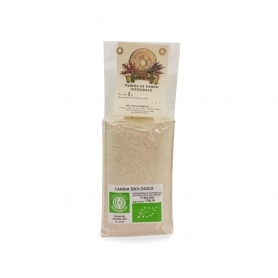 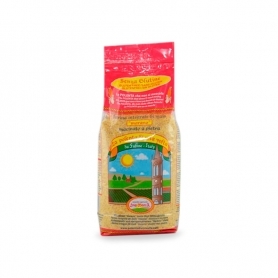 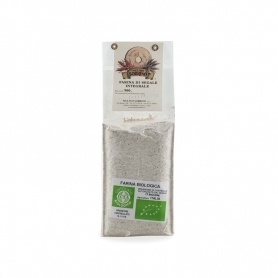 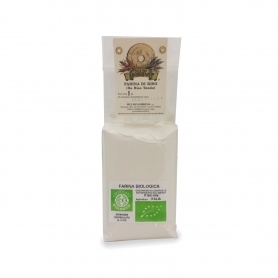 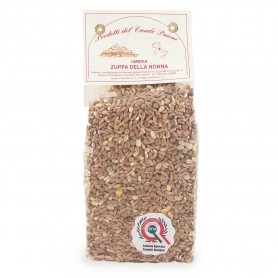 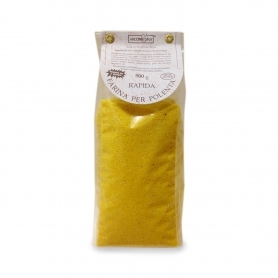 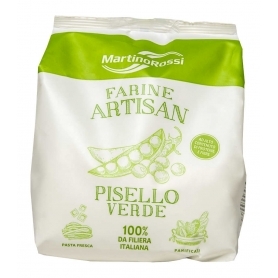 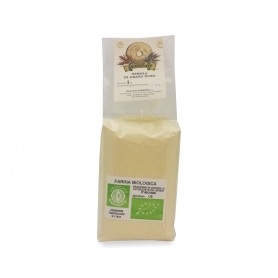 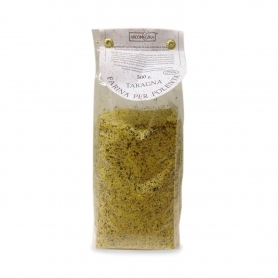 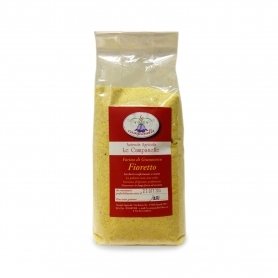 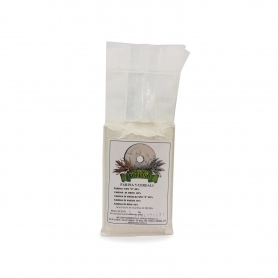 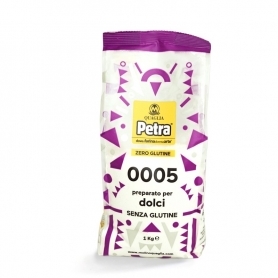 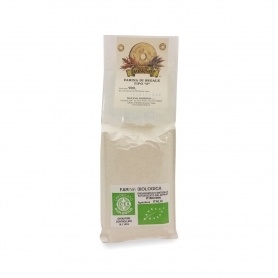 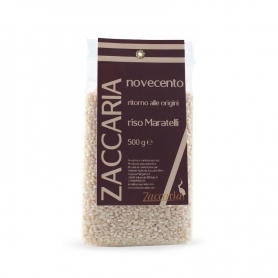 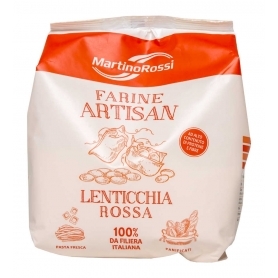 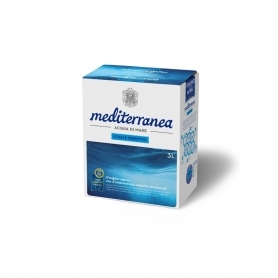 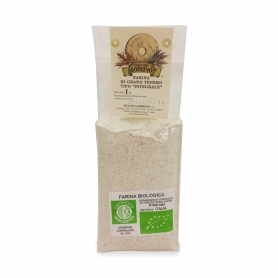 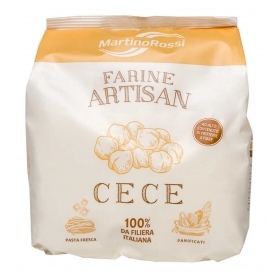 > Flour>Polenta Red Bramata - Corn flour, 500 gr. 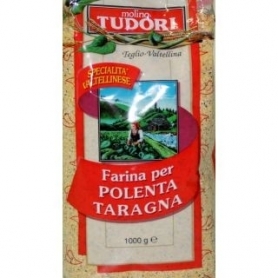 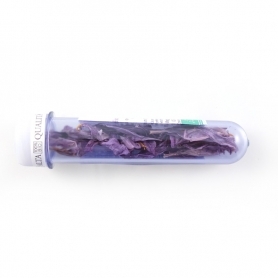 in a pot bring to boil 2 liters of water, salt and add a rain 500 gr. 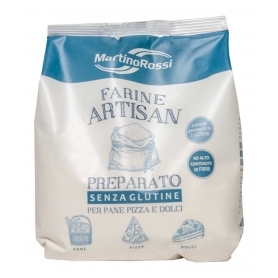 of flour while stirring continuously to avoid the formation of lumps. 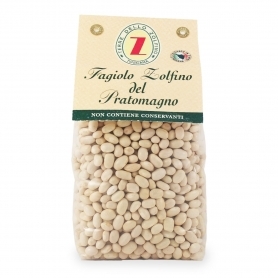 Bake for 45 minutes on low heat, serve at table on a wooden cutting board. 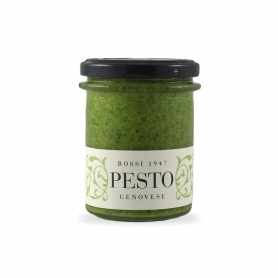 It pairs well with: stews, braised, roasted rabbit, chicken cacciatore.